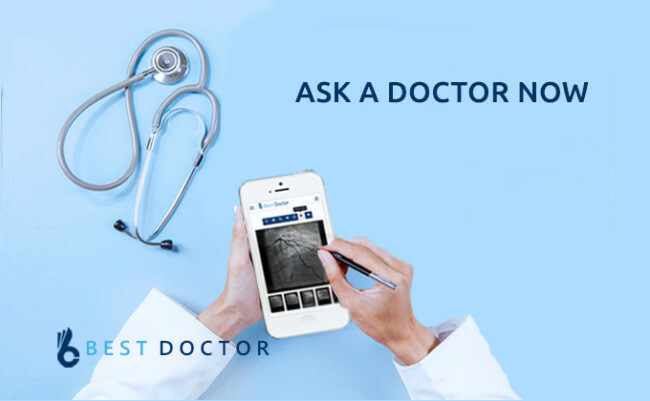 When you visit a clinic setting for any sort of complaint, the first blood test and the most common investigation of choice is a Complete Blood Count. CBC or a Complete Blood Count or a Full Blood Count is a test performed for quantitative and qualitative analysis of blood cells present in circulation. A complete blood count also helps one to know what the hemoglobin count of a person is. Although a complete blood count test may seem very basic, it is often the simplest and most economical test to evaluate the health status of any individual. An automatic blood analyzer device measures all of the blood parameters mentioned below. Modern blood analyzers also give a differentiate count for white blood cells and appearance of the blood sample collected. Females: 4-5 million Erythropoietin – a hormone secreted by kidneys helps in maturation. Life span is about 120 days. Granulocytes – eosinophils, neutrophils, basophils. Agranulocytes – lymphocytes and monocytes. Main action is to recognize and fight against infection. Eosinophils are responsible for allergic reactions. Platelets (thrombocytes) 150,000 – 450,000 per cubic millimeter Maturation takes place in the liver. Life span is about 7-10 days. Main function is clotting and maintaining homeostasis. Red blood cells, white blood cells and platelets are formed in the bone marrow. Red blood cells and platelets are destroyed in the reticuloendothelial system. Platelets play an important role in the coagulation cascade. Females: 12-14 gm% Hemoglobin is a protein responsible for carrying oxygen to tissues and organs. Hemoglobin contains iron which is essential for maturation of red blood cells. Females: 35-47% It is the percentage of the volume of blood which is made up of red blood cells. Mean Corpuscular Volume (MCV) 80-100 fL It is an average volume of red blood cells. MCV lets you know if the red blood cells are microcytic (small in size), normocytic (normal) or macrocytic (large in size). Mean Corpuscular Hemoglobin Concentration (MCHC) 30-36 g/dL It is the concentration of hemoglobin in red blood cells. Mean Corpuscular Hemoglobin (MCH) 27-34 pg It is the average mass of hemoglobin in a red blood cell in a given sample of blood. Mean Platelet Volume (MPV) 9.5-12.5 fL It is the average size of platelets in a given sample of blood. So now that we know what the normal blood cells are like in an apparently healthy individual. Let’s have a look at what happens when these blood components go haywire. It is quite evident from the table above that a complete blood count or a CBC can be one of the most useful tools for understanding and evaluating the health status of any individual. 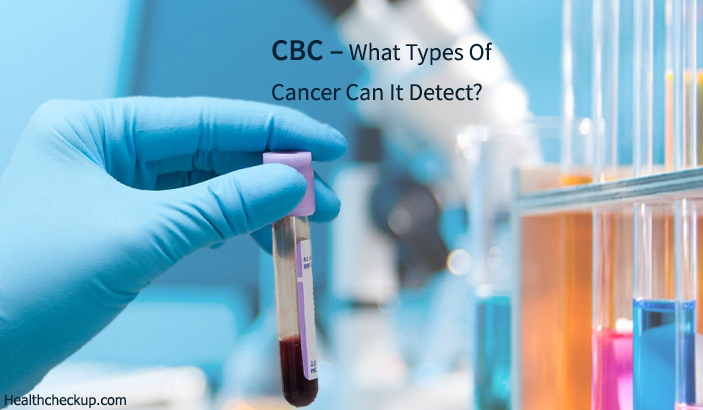 But the main question that remains is that what types of cancer a CBC can detect. An abnormal CBC is most likely to raise a suspicion about blood cancers. There are several varieties of blood cancers. Some develop from a defect within the bone marrow; whereas some develop due to metastasis of cancerous cells to the bone marrow from other structures. The bone marrow in return is unable to produce other cells normally. A set of genetic as well as environmental factors play an important role in cause and development of blood cancers. Since blood is circulated all over the body, cancerous cells can easily spread to other structures within the body via the route of blood. It is also very difficult to localize blood cancer to just on part of the body. Leukemia is a type of blood cancer characterized by failure of cell maturation and an abnormal proliferation of immature white blood cells which also appear in peripheral blood circulation. The Leukemia occurs due to mutations in the DNA. Other causes include diet and lifestyle, hereditary causes and infections. Leukemia represents 3.5% of all cases in the USA. 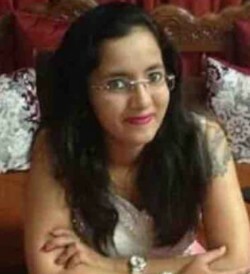 Annually, in India about 10000 cases of leukemia are reported. About 60% of patients present with symptoms of bleeding. Auer rods in peripheral blood smear examination are diagnostic. Symptoms include non-specific flu-like symptoms. Commonly seen in children. About 86% of the cases are B-cell leukemia. T-cell leukemia is commonly seen among adolescents. Enlarged lymph nodes and an enlarged liver are common finding on examinations. Symptoms related to the nervous system are commonly seen. • Peripheral blood smear shows immature blood cells and rod-shaped inclusions called Auer Rods which are seen only in acute myeloid leukemia. Cause is presence of “Philadelphia chromosome” in about 95% cases. Commonly occurs after about 5th decade of age. Patient has symptoms due to enlarged liver and mild to moderately enlarged spleen. There is infiltration of bone marrow, spleen and lymph nodes. It is the most common type of chronic leukemia. About 95% CLL are due to B-lymphocytes. Commonly occurs above the age of 50 years. Recurrent infections are common. Total WBC counts are >20,000. Platelet counts may be normal, increased of decreased. Total WBC counts are >50,000. Platelets are normal or reduced. Peripheral smear shows presence of prolymphocytes and lesser mature appearing lymphocytes. It is a malignant enlargement of B-lymphocytes. Common in patients above the age of 40 years and more common in males than in females. There is pancytopenia – reduction in all of the blood cells. Hairy cell leukemia can develop into secondary malignancies like thyroid cancer or lymphomas. CBC findings: low total WBC count. Typical findings are “hairy cell” on peripheral smear. It is of B-lymphocyte origin. It can occur at any age but peaks at 15-35 years and 45-75 years of age. Has a strong association with infection from Epstein Barr Virus and Hepatitis C virus. Majority of cases showEpstein-Barr B-cell involvement (about 80%). About 15-20% cases show T-cell involvement. Natural killer cell (NK cells) involvement is rare. It is a high grade, non-Hodgkin’s lymphoma. Majority cases occur in children. Has a strong association with Epstein-Barr virus infection. The infection typically starts at one lymph node and can be localized. Lymph nodes are non-tender and rubbery in consistency. Cervical lymph nodes are affected first. There is unexplained fever and weight loss. Presence of “Reed Sternberg cells” is lymph node biopsy is diagnostic of lymphomas. Bone marrow and extra-lymphatic area involvement is late. Commonly seen above the age of 60 years. Strong association with chronic inflammatory states and auto-immune conditions. Has multiple origins and spreads rapidly. Lymph nodes are painless and firm in consistency. Small size of lymphoid cells indicates good prognosis. Has a tendency to develop into leukemia in 20-40% cases. Early involvement of extra-lymphatic areas and bone marrow. Often presents are leukemia or extra-nodal involvement. Frequent involvement of jaws and kidneys is seen. CNS and abdominal involvement is common. Biopsy shows medium-sized blast lymphoid cells with clumped chromatin. This gives a “starry sky” appearance. Normocytic, normochromic anemia. Microcytic anemia is seen in advanced stages. Increase in lymphocytes is seen. Other cells remain normal. Peripheral smear shows typical “hairy cell” inclusions with a “fried egg” appearance of cytoplasm. It is a malignant proliferation of plasma cells derived from B-lymphocytes. Gradual replacement of bone marrow by plasma cells results in pancytopenia. Peak incidence is in the age group of 60-70 years. Males are more commonly affected than females. Patients are mostly asymptomatic initially and myeloma may be detected accidentally. Presence of Bence Jones proteins in the urine is diagnostic of multiple myeloma. Anemia and reduced white blood cells and platelets. Peripheral smear shows rouleaux formation. A common possible cause for all these types of cancers to occur can often be a compromised immune status as in HIV or AIDS, auto-immune diseases, exposure to toxic chemicals and radiations and a strong family history of such cancers. The list above will help you know what types of cancers a simple CBC can detect. A complete blood count test may often raise a suspicion for cancers of the breast, ovaries, stomach or other types but they cannot be used as the only means to detect cancer of any specific type. A CBC is however, is a potential follow-up tool when a patient is undergoing treatment for any type of cancer. This is because chemotherapy agents and radiation is often cytotoxic. When a physician is doubtful about the type of cancer, a CBC is often done to understand the general health status of an individual. Certain blood tests for cancer markers are done along with a CBC to confirm the diagnosis.